Please find information on the upcoming Fall Play Like a Girl Event! 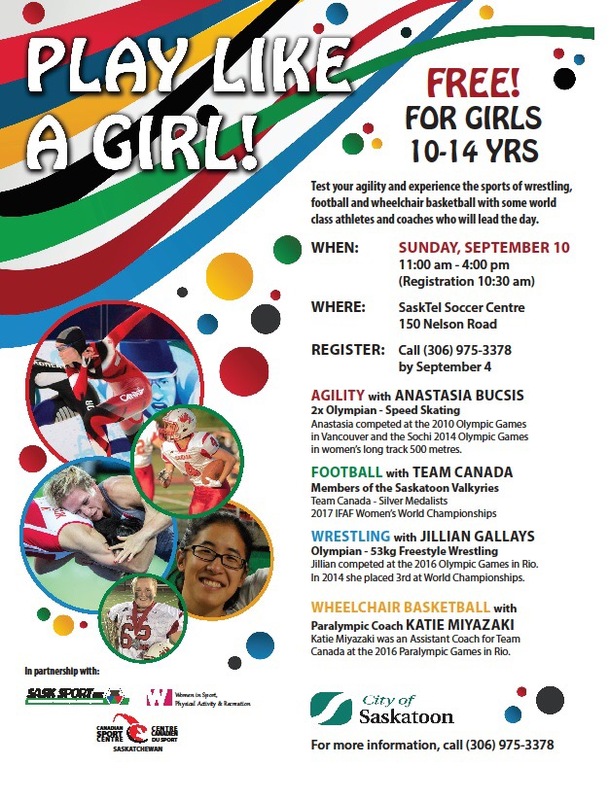 The program is absolutely free and features some of Saskatoon’s top female athletes. Please share amongst your networks.